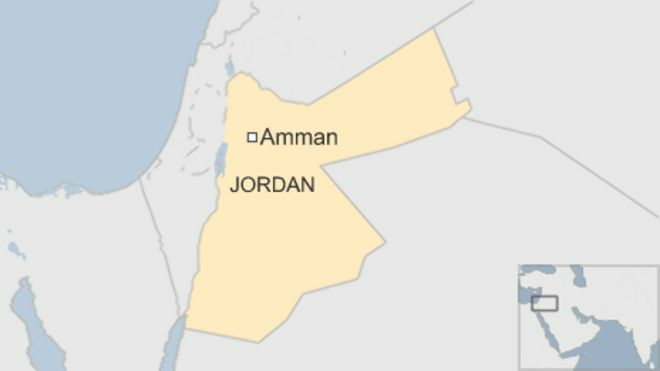 Five people have been killed in an attack on Jordanian intelligence officers at a Palestinian refugee camp on the outskirts of the capital, Amman, government officials say. They described the incident as a “terrorist attack”. At least three of the five people killed were intelligence officers, the officials said. The attack took place at the sprawling Baqaa camp north of Amman at about 07:00 local time (04:00 GMT). The Baqaa camp was one of six set up in 1968 for Palestinian refugees fleeing the West Bank and Gaza Strip as a result of the 1967 Arab-Israeli war. Government spokesman Mohammed Momani said the “cowardly” attack targeted the intelligence agency office at the camp. No other details have been given so far. Some reports say all five of those killed were intelligence agents, others that two of the victims were office employees. The UN Relief and Works Agency (UNRWA) says Baqaa is the largest camp in Jordan. It is believed to house more than 100,000 refugees.